Facebook is the most popular social media platform and a key pillar of marketing success. Consumers use Facebook to research products and services, get recommendations from friends, and follow their favorite brands. With over 2 billion searches per day, there are thousands — even millions — of hungry customers to reach with Facebook marketing. How Does Facebook Build Your Business? Over two-thirds of adult internet users use Facebook and 76 percent log in daily. Facebook’s massive, diverse user base makes it the most cost-effective lead capture opportunity online. The site connects you with customers in all stages of the buyer’s journey and shows the effects of your marketing in real time. It’s great for building community, showcasing customer service, and solidifying your place in the market. Before setting up your business page, define your target audience and goals. Are you simply trying to build brand awareness or do you want to drive referral traffic, provide customer service, or generate leads? These answers determine how you use Facebook, what type of content you produce and share, and whether you’ll rely on organic marketing, paid advertising, or both. When done organically, Facebook lead generation doesn’t happen overnight. Most social posts indirectly generate leads by promoting brand awareness. 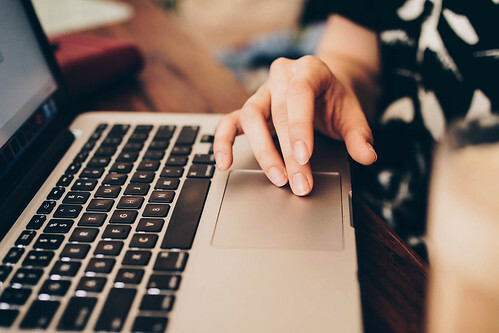 Sharing helpful or entertaining content may generate fewer leads, but it reaches more people and builds trust and engagement that turns into leads down the road. You can also share direct lead generation posts containing a strong value proposition, a clear call-to-action, and link to your website. Sharing promotional content results in qualified leads, but oversharing may chase away those who aren’t ready to contact you. So, save some room on your social media calendar for promotional posts, but leave the strong sells for Facebook’s highly targeted paid ads to reach the right audience. Facebook’s algorithm decides which posts to prioritize on feeds, so even your best content may never be seen. However, the platform is more likely to show some types of posts over others (like text). Photo: Posts with images receive greater reach and engagement than text updates. Use compelling photos sized according to Facebook’s guidelines and try photo carousels or slideshows to stir excitement. Video: Videos are more engaging and more likely to connect emotionally with your audience than written content. You can link to videos on other sites, but Facebook rewards files uploaded natively with higher reach. Infographics: These popular graphics are useful for breaking down complicated information in an easy-to-understand format. Infographics build brand awareness and showcase your expertise. Facebook Live: Going live gets your message heard; all your followers receive an instant notification to connect. Offer a sneak peek of a new product or give a behind-the-scenes facility tour. Facebook Stories: The new Facebook Stories feature lets you share short photo and video collections that disappear after 24 hours. Use Facebook’s in-app camera to overlay filters and lenses and add visual geolocation tags. Facebook marketing isn’t a one-way street. Lead generation is about giving and getting. Offer your audience value, such as helpful content or entertaining videos, to get something from them in return. Without useful or entertaining content, there’s no reason for your audience to visit — and revisit — your page. If no one looks at your page, no one clicks on your content, making it impossible to generate traffic or leads on social media. Produce and share content that educates and inspires. But don’t be too salesy; that’s what paid ads are for. Facebook’s constantly changing algorithms make it difficult for businesses to get leads organically, and even the best social marketing strategy takes months to produce results. Paid advertising lets you reach your audience immediately. Paid ads deliver your message to anyone in the demographics you select, and with Facebook’s hyper-focused targeting options, you can easily reach potential customers. 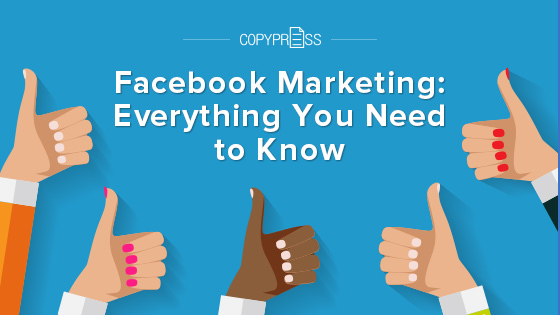 Plus, advertising on Facebook is cheaper than running ads on Google and there’s a detailed guide to help you get started. What’s the Secret to Successful Marketing on Facebook? Know your brand, know your voice, know your audience. And follow best practices for Facebook marketing to boost brand interest and revenue. Create a professional page: Your page reflects your business. Include an attractive header image, logo, and short blurb about why you’re the brand to count on. Engage your audience: Respond to comments professionally and remain appreciative, interested, and engaged. Encourage your audience to interact and share your content. Don’t delete negative comments: Don’t remove comments unless they’re vulgar or threatening; turn them around to showcase positives about your brand. Market your page: Use relevant keywords on your profile and include links to your website and Facebook page in emails and on business cards, flyers, coupons, and print marketing materials. Create value with content: Produce and share helpful, original content, but also share content by other people and brands. Build social proof: Screenshot and share reviews from other social sites and ask customers to post their experiences on your Facebook page. Use social tools: Figure out when and how often to post to make the most and best impressions. Stay on track using a social media calendar. Measure, test, revise: Use Facebook’s built-in analytics to see what’s working and revise your strategy to improve results. Facebook is still the center of social media marketing for many businesses, but its latest algorithm changes have some businesses worried about the future. By prioritizing family and friends’ posts and limiting access to third-party information, Facebook is making it harder for brands to reach their audience. The new algorithm uses signals that favor “active” interactions like shares and comments. Multiple replies and other signs of active engagement outweigh prior signals, like average time spent on content, when it posted, and how informative it is. This means future Facebook marketing success requires posts that encourage “meaningful interactions,” and business pages may see a drop in reach, traffic, and watch time unless they implement unique content strategies. Limited access to user data may reduce ad targeting options, but this is more likely to affect large, national brands than local companies. It may also force businesses to adopt influencer marketing tactics on the social media site. Chasing Facebook’s algorithm will get you nowhere. Stick to the basics: Share native content, focus on videos, generate discussions to stir excitement and boost active engagement, and limit link posts to those that matter most. When done right, Facebook marketing can be endlessly profitable.